Editorial - Who Owns This Market Anyhow? 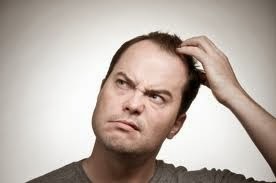 Rule 1 for blog writers is to give your heading impact and the question asked above is obviously a rhetorical one. And just in case you have to look up “rhetorical” like I did, it means a question which doesn’t really require an answer - it makes a statement. If you are expecting an in-depth analysis about who owns QVM then let me apologise in advance because this is simply an attempt to make a very important point about how we move forward as a market. (The in-depth analysis is on our to-do list). Below is a diagram which we can call the "Progress Arrow". On the left wing of the arrow is Management whose mantra could be - "We own this market and we know what is best for the future." On the right wing are traders who could also claim - "We own this market and we know what is best for the future." There are of course other wings to this arrow, customers, council, community etc., but let's keep it simple for now. The analogy of the arrow has a simple message. For progress to be made, both parties need to move to the centre of the shaft. That will require openness, transparency and a degree of compromise. Without a point the arrow is just a blunt instrument. Without a point the arrow will fail to achieve its target. Management and traders need to genuinely consult on all aspects of market operation. The "blame games" and the entrenched positions of the past have little relevance to the future. We are about to enter a brave new world and our arrows will need to fly true. Further to last week’s article we have photos of another trader who has taken advantage of the RMIT Design Students liaison and created a very attractive stall presentation complete with eye-catching banner. It is all about that 3 seconds you get to attract your customer’s attention and convince them that they need to stop and look at your offer in more detail. Is it time for your stall update? 1. Pumpkin Patch injects new blood into its boardroom. 2. Super Retail Group to open first store in China. 3. Kathmandu says weaknesses in Australian dollar impacting on profits. 4. Four Tesco executives suspended over inflated profit budgets. 5. New iPhone 6 breaks sales records. 6. British phone retailer, Phones 4U, closes 360 stores. 7. Coles publishes factory list for apparel range. 8. Johnny Walker opens “Whiskey Embassy” concept in China. 9. H&M reports 20% profit leap in third quarter. 10. Alibaba chief becomes China’s richest man after stock market launch. 11. Huge data breach at US retailer Home Depot traced to self checkout computers. 12. ACCC accuses Woolworths of selling unsafe deep fryer, drain cleaner and safety matches. The UK mobile phone market is going through a renaissance which could be repeated here in Australia and is just another indication that retailers need to be on their toes. Earlier this year Carphone Warehouse and Dixons, two iconic UK retailers, merged. The equivalent in Australia would be say Allphones and The Good Guys joining forces. Lots of reasons where given for the move but a very tough, low margin, retail environment is seen as the main driver. This week, another large UK mobile phone chain, Phones 4U, succumbed to those pressures and went into receivership with Vodafone picking up 140 of their stores. A saturated smartphone market and the tendency for telco providers to deal direct with their customers were seen as the main reasons for the collapse. It is an understatement to say that the retail market is changing. In fact, this is a retail revolution with lots of traps and lots of opportunities. A draft report from the Competition Policy Review Panel tackles issues including competition, trading hour deregulation, liquor licensing rules, and the artificially high prices paid by Australian consumers for some goods and services. Competition between instore and online and within the grocery and pharmaceutical categories is a focus of the report along with the abolishment of trading hour restrictions with the exception of Christmas Day, Good Friday and Anzac Day mornings. The draft report is open for consultation before 17th November and then final submission in March 2015. Will Music Week Benefit Traders? There has been much debate amongst traders about the likely business impact of Music Week at QVM and whether the sacrifice of temporary relocation for traders will be worthwhile. 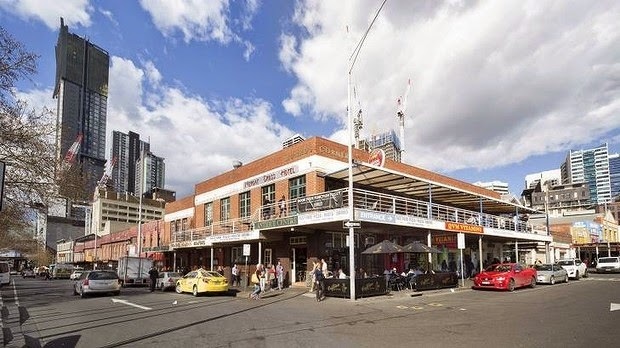 Melbourne's Music Week is the city's premier annual music festival and this year it will be held under the sheds at the top end of QVM with some 50-60 traders being relocated for a two week period. 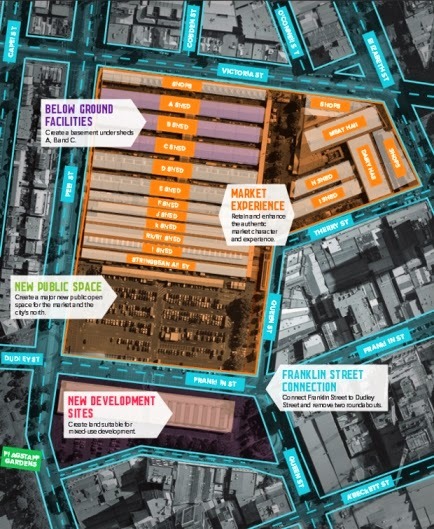 Special arrangements have been made for traders including a "showcase" marquee in the prime customer flow area on Therry St which it is hoped will introduce top end traders to a whole new source of market customers. But will all this disruption benefit traders? The short term gain is probably questionable. A Music Week crowd won't be in town primarily for shopping, a bit like that other famous annual event, the Melbourne Grand Prix. But there will be 30,000 participants so we can expect some business flow on. The special arrangements to showcase traders in the Queen St., Therry St. Hub has potential for an event type atmosphere and attracting a new, some would say lost, source of foodie customers. Then there is the buzz that a special event creates although there is some concern about the nature of the buzz. Let's hope Melbourne Music Week is a bit more like Adelaide's WOMAD festival with broad appeal across the population and less like a rock concert. Longer term, this event addresses some of the concerns around QVM being an under-utilised facility with great potential. As the city encroaches (very speedily) on our market the fact that our trading hours are restricted by comparison with CBD retailers, and that we are closed for two days each week, needs addressing. Nobody expects current traders to trade 24/7 so creating a greater flexibility for markets and events on our site is desirable. If QVM can be seen as a place to come for shopping and entertainment at any time, then all the market's businesses are likely to benefit no matter when they trade. Are there any guarantees here? Obviously not. It was recently reported in the retail press that, given the current retail upheaval, if retailers can try 10 new ideas or 10 new projects, and get 3 or 4 to work, they have done very well. Stepping out of our comfort zone with this sort of event creates a mix of anxiety and positive expectation. It will be very interesting to see how it pans out. QVM have started the 1-2-1 interview process as traders are invited to individually share their thoughts on life and business at QVM as well as ask questions about the future. Traders are asked to sign a Privacy Statement at the beginning of the interview which identifies how their input will be used and the context of the various privacy regulations. The original form contained some material that wasn’t relevant to current traders and therefore created some confusion to participants. That material has now been removed and the form simplified to the satisfaction of QVMAC Representatives and the traders who raised the original objection. Apart from this wording glitch it would appear that the process is proceeding well with favorable responses from trader participants. Bookings for your interview can be made online through the Traders Hub. Australia’s busiest retail precinct will be activated by live music and performances in a move by Sydney City Council to boost retail sales. 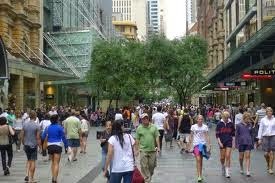 During a 12 month trial retailers will be offered Pitt Street Mall free of charge to conduct events designed to bring more shoppers to the city centre. Sydney’s Lord Mayor said the move was designed to help local retailers attract more residents, workers and visitors. 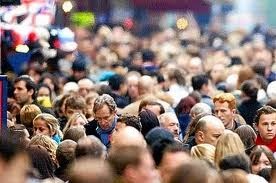 With 65,000 people moving through the mall each day there is a ready audience. Late last year Sydney’s Retail Action Plan was launched to encourage shoppers to visit bricks-and-mortar retailers and offer more from their retail experience. 1. Google introduces new accreditation system for online stores. 2. Godfrey’s Vacuum Cleaners to float on stock exchange. 3. Deli’s expected to show growth despite supermarket competition. 4. British fashion retailer, River Island, plans expansion into Australia. 5. Premier Investments lifts profit, driven by rollout of Smiggle and Peter Alexander stores. 6. Huge fire at UK warehouse impacts on ASOS sales. 7. Consumer confidence slides another 1.8% in September. 8. 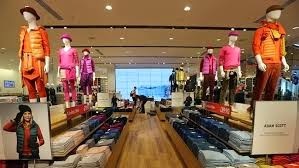 Marks & Spencer reaches first months target in just 10 days after inaugaral opening in Vietnam. 9. Oroton reports profit lift. 10. US menswear retailer, Brooks Bros, outlines expansion plans for Australia. 11. British retail sales and consumer confidence rise in August. Google says 75% of Australian consumers use location information, typically maps, when searching online. The percentage is higher when you look at smartphone users and how many of your customers walk into your stall with a smartphone in their hand? Whether they are searching for products, communicating with friends, or taking photos, many of our customers are technology users and a common use is looking for businesses and products. 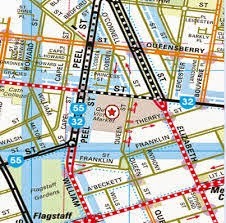 A location map us considered essential for many businesses followed by getting directions and information about trading hours. It is all part of the push for consumer convenience and with Google now making indoor maps (read shopping centre maps) more readily available, consumers are expecting to pick up their smartphone and find their retailer of choice with a few clicks on their phone. Of course, at QVM, we make things just a little harder for consumers, with many traders changing locations on different trading days, so some form of location technology becomes even more important. Imagine a QVM App that would enable customers to click on a product category and be shown a map with their stall alternatives on any given trading day. Imagine also a complete summary of our trading hours, a directory of stallholders, a list of special market events and simple things like the location of ATMs and toilets. And another use of a QVM App that has great possibilities involves iBeacons. iBeacons are tiny radio transmitters that can be located on stalls and beam out special offers to nearby customers (typically as they pass or enter your stall). Individual traders would tailor individual messages to show up on their customer's mobile phone. The technology is already available and all it needs is - you guessed it - a QVM App! Are apps easy to set up? Well, no, not really, but the technology is there, and the experts are available. All that it needs is some resourcing, some desire, and a willingness to make QVM a relevant destination in modern retailing. Sounds like a worthwhile renewal project to us. QVM's One on One Interviews Are Two Way. QVM has embarked on a program of interviewing every market trader. One on one interviews with traders are already under way and with something like 600 traders on the list this is a major undertaking. Traders are being asked questions like "What are your aspirations at QVM?" or "What do you believe needs changing at QVM?" A whole series of subjects will be covered including specific events like the November Music Week. The aim is to get a more personal assessment of traders views but it is important to realise that the process is two way. 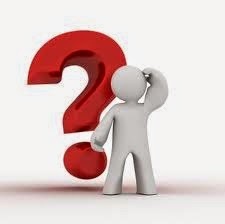 Traders are entitled to ask their own questions of management - "What does the future hold for my business? ", "What is the likely impact of renewal?" and so on. Getting a better perspective of each of our roles at QVM has potential to give us some guidance for the future. At a recent business conference in Melbourne the Small Business Minister was reported to have said "The best form of contraception is small business". Presumably he was referring to the huge pressures on small business and the difficulties of leading a normal life while struggling to see a way through the tough times. It is hoped that activities like the 1 on 1 interviews will lead to better understanding, ease some of that pressure, and produce some clarity for the future. Who knows, it may even be child producing? 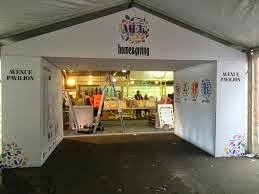 Melbourne Music Week is to be held in the top end of J, K, L, & M sheds and a number of stalls will be relocated to other areas including a giant marquee in Therry St. Marquees come in many shapes and sizes and the one proposed for Therry St. should be quite impressive. We haven’t seen detail yet but marquees can come with floors, partitions, and all sorts of features designed to show off product displays. Traders who have visited the trade gift fairs at the Showgrounds each year will have seen some professional installations in action. The opportunity to make Therry St. and the adjoining area in Queen St a buzz for Music Week will be an interesting challenge for management and traders. A significant group of buildings on the corner of Queen and Therry Streets is up for sale. The sprawling property, known as Munro’s corner, is directly opposite the market and has often been suggested as an ideal place for a market car park. The shops that make up the site are currently occupied by an Asian supermarket, antique and clothing shops, the Mercat Cross Hotel, and other businesses. Real estate agents have described the property as a developers dream and estimated its value at $60m. It is said that you have just 3 seconds to capture the attention of customers as they walk past your shop or stall. A small number of traders recently took the step to make the most of that 3 seconds by receiving specialist advice from RMIT Design Students on how to enhance their stall presentation. We have received some very favourable responses from the traders involved and here is an example of the results. One of the key ingredients of the stall shown is a graphic sign that encapsulates the stall’s offer at a glance. It is all about that 3 seconds. The consultations were organised by QVM and the cost of graphics were linked with the $500 QVM subsidy program for traders. Traders who are interested in undergoing a similar makeover are invited to contact Victoria Niewalda at the office. 1. PayPal expands into small business lending. 2. Noni B recommends takeover offer from investment firm Alceon. 3. Chinese footwear brand, Staccato, opens in Japan. 4. Ugg Australia launches global marketing campaign. 5. Australia’s technology goods took a sales dip in second quarter. 6. World’s largest duty free shop opens in south China's Hainan Province. 7. 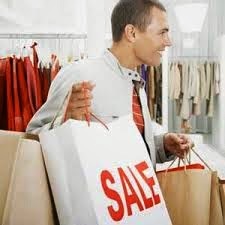 July retail sales show continued steady rise with 5.8% increase over last year. 8. ACCC takes issue with Expedia’s takeover of Wotif. 9. H&M to open two Sydney stores – Macquarie Place, North Ryde and Pitt St. Sydney. 10. Good Guys receive top customer satisfaction award in electricals for 4th year. 11. Forever 21 to open in Sydney. 12. Woolworths to sell more than $600m of property. 13. Walmart to build first community shopping mall in China. 14. McDonalds continues global decline as sales fall in August. 15. Ikea says sales growing with China the best performer. 16. Myer’s gross profit continues to fall, down 1.4% to $1.286 billion this financial year. 17. Consumer sentiment continues to fall in Australia. 18. Australian retailers seek reduced weekend penalty rates. When retailing is tight and every buying decision you make could have a significant impact on your bottom line, a simple little question could be the difference between success and failure. Sounds like a test that could be applied to many buying decisions. After a lack-lustre Christmas display in 2013, and an assurance from our CEO that things would be improved for 2014, we now have details of this year’s plans and they look quite impressive. 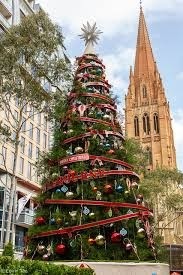 The highlight will be a huge 9 tonne live Christmas tree on Queen St. at the Victoria St. end of the road/mall. This will be backed up by a huge red bow across the entrance to the Meat & Fish hall on Elizabeth St. and the decoration (including lighting) of the pallet tree at the top end of the market on Peel St.
Around the market we will have Christmas themed stands with face cutouts for photographic opportunities, a special Christmas themed craft market on String Bean Alley each Thursday in December and a range of other activities including visits from carol singers. Traders might like to start thinking about how their own stall decoration could link in with year's enhanced Christmas presentation so that the Christmas theme becomes an "across the market" experience. Is Your Market Stall Affected By Music Week? Here is the plan showing stalls affected by the big Melbourne Music Week event coming up in November. The festival will take over the top part of J, K, L, and M sheds. The plan shows affected areas including the relocated walkway linking the top entrance from the car park to the rest of the market (red arrows). Traders displaced by the event will be offered a range of options subject to submission of a Preference For Relocation Form which can be downloaded here or obtained from the market office. 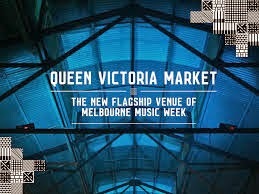 Melbourne press is full of publicity about Music Week's location at the iconic Queen Victoria Market this year. Events like this, and the associated publicity, can be good for business. However traders will need to make compromises to accommodate the event and it is fair to say that there are a number of issues. The event is to take place between 14th and 23rd November across a number of city venues although QVM will be the focus and the premier stage will be located under the sheds at the top end of the market. The official launch took place just two days ago and yet, such is the popularity of the event, some performances have sold out already. Around 50 or so traders at the top end of J, K, L, and M sheds will be displaced on each trading day of the event and alternative locations will need to be found for them. Following discussion with QVMAC Representatives, management have approved a temporary "showcase" market based on Queen and Therry Streets to accommodate displaced traders. 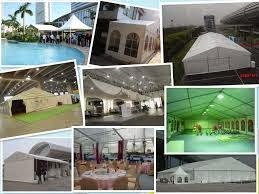 A substantial marquee will be constructed and special arrangements made to close those streets for the duration of the event. 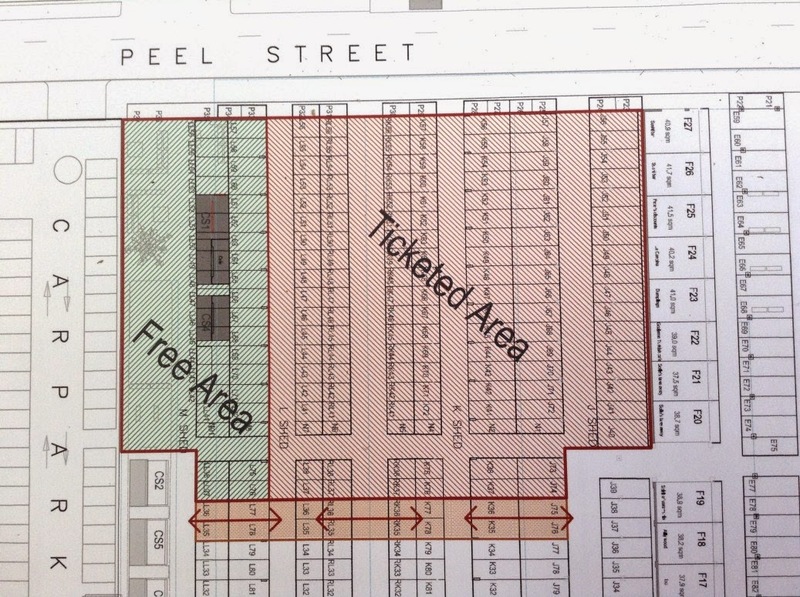 Traders will be give a number of options as to their location including a Therry St. marquee, stalls in Queen St., relocation to vacant stalls in other sheds, or taking time off and avoiding the event altogether. Some "sweeteners" for traders could include the option to set up for an extended period in the new location on Queen and Therry streets (in other words no pack up each day), and an opportunity for extended trading including linking up with the busy night market on November 19th. At yesterday's meeting with traders, management made it clear this was a work in progress and the next stage is to find out trader's wishes in relation to relocation. Forms were handed out at the meeting and traders are urged to return them to the office by Tuesday 16th September. Additional forms can be downloaded here (Download Stallholder Preference Form) or obtained from the market office. (See a separate article showing a map of the affected stalls) Traders raised a number of concerns and ideas about the event and these were all noted for attention over coming days. An event like Music Week is complex. It creates many issues for traders and management as well as many opportunities. Getting this right will be important as we head into renewal and try various ways to raise our profile with customers. The Victorian State Government has confirmed the transfer of land at the southern end of QVM from State ownership to the City of Melbourne. The land is to be used as a component of the QVM renewal. 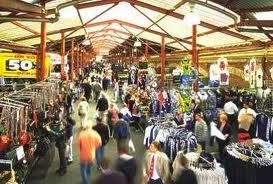 "The Victorian Coalition Government has signed an agreement confirming the Victorian Government's contribution to the redevelopment of Queen Victoria Market (QVM), signalling a further step forward in the renaissance of the city’s beloved Market site. Assistant Treasurer Gordon Rich-Phillips said the signing of the land transfer agreement with the City of Melbourne paved the way for the Council to implement its QVM revitalisation project. “The Victorian Government has contributed two parcels of Crown land to Council under terms which will ensure more than a hectare of public open space will be the centerpiece of this exciting renewal,” Mr Rich-Phillips said. “This is set to revitalise the market, the renewal of which will see better stalls and facilities for traders and shoppers.”"
Batman Market on Gaffney St.Coburg is to open on 11th October with 123 stalls. It is a multicultural food and craft market located on an old textiles factory site. The market will provide its surrounding communities access to the best of Melbourne’s food, fresh produce and unique local products. The Batman Market team are passionate about developing the market into an iconic foodie destination that celebrates Melbourne’s multiculturalism through food." A segment on the ABC’s 7:30 Report this week reported on some of the difficulties facing smaller Australian fashion retailers. The report identified the influx of large overseas fashion chains as a major factor in the struggle facing smaller competitors. The larger overseas groups see Australia as a growth market, certainly compared with their home bases in Europe or US where economies are slowly recovering from long periods of stagnation. Throwing everything at the Australian market might seem good for them but for established local traders it is a nightmare of poor business, low consumer confidence, and a difficult future. Add in the pressure of online competition and we can see that only the brave and innovative are likely to survive the drastic changes in retailing. Traders interested in the full report from the ABC can see it on ABC iview by going to the replay of the 7:30 Report program of 10th September. According to a report in The Guardian, a cafe in eastern USA has banned the use of laptops and tablets at its tables and claims business is better. This bakery/cafe got sick of patrons who used their tables to work, often spending hours glued to their screens. It didn’t take much analysis to work out that these customers were a lot less profitable than average customers and so the owners of the cafe decided to ban the technology. They had always envisioned that their cafe would be a place for socialising, laughter and chit-chat. The owners estimated that the average customer spent $15 per hour in their premises while the technology buffs spent around $5 an hour. Something had to be done for the business to survive. Since the ban, growth has been recorded at 10% which is around double previous levels. 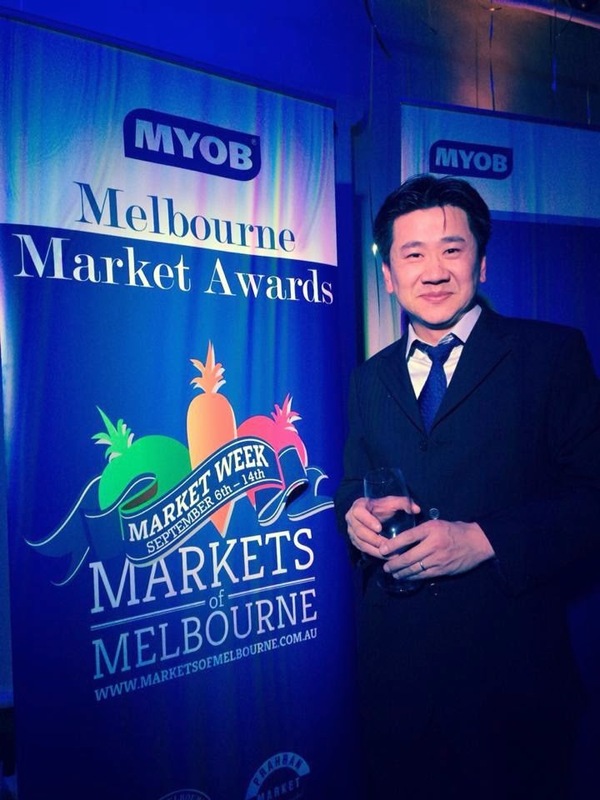 The Melbourne Market Awards for “Best” and “Favourite” traders were announced over the weekend. 48 favourites were voted by customers over the four key markets – South Melbourne Market, Queen Victoria Market, Dandenong Market, and Prahran Market – with a panel of judges selecting the best in each category. Fashion & Accessories – Bruce Goose (The Sock Shop) - see photo. QVM intend holding a special promotional day/night event in the top quarter of J, K, L, and M sheds over two weeks in November. The event will involve relocating some traders over the two weeks and a meeting is to be held this Thursday to discuss details. Plans include creating a showcase location for those traders who are affected. A vibrant street market is to be located in Therry St. and Queen St. with a marquee construction designed to create a new look and feel for traders. It is hoped that the new location will create additional opportunities for traders through its unique placement and the proximity to QVM food customers. The special event at the top of J, K, L, and M will in itself bring an estimated 30,000 additional people to the market. Traders affected will be those located in the top of J, K, L, and M sheds from Peel St. down to the top walkway. A meeting of affected traders will take place in J shed (near J40) this Thursday 11th September at 3:30pm. If you ask traders what needs to be done to reverse sales decline at QVM, 9 out of 10 will say "just bring us more customers". It is a simplistic response with an obvious truth because more customers means more sales, means viable business. Traders talk about dragging customers to our market, not in so many words, but paying tourist buses to come here or spending thousands of dollars on media advertising has elements of "dragging" about it. The problem is that customer attendance needs to be sustainable. If customers are dragged here, but don't like what they see, then the expenditure is wasted. We know that consumers have become very choosey and our relevance as a public market in a global retail environment is under question (as it is for all retailers). Let's get one thing straight - most of our existing customers love us. 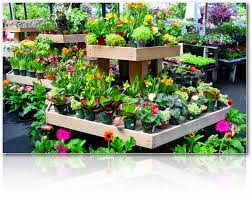 As one of our long term traders said this week "I still have the most wonderful engaging experience with my customers. But there are just not enough of them, and sadly, many in my circle of friends don't see QVM as an attractive shopping choice". And here is the point of this article - if customers don't see us an attractive alternative to other forms of shopping, we will not address sales decline. We need to be seen as an irresistible destination that is relevant to consumers. Rather than attempt to drag people here they must want to come because of what we offer. There is another major factor that impacts on our business and we go back to our long term trader who put it quite succinctly. "By the time today's customers have paid their mortgage, their power bills, and their mobile phone bills, there is not a lot left for discretionary spending. They have enough left to buy a cup of coffee and perhaps take the family out for a cheap lunch". Things have changed. Discretionary spending has declined and Australians are putting more into savings. We now need many more people to come past our stalls to generate the same income. Perhaps the push for more food, more seating areas, and more entertainment makes some sense if we are to attract bigger crowds. So, we need to attract a lot more people to our market and we need to entertain them in a way that will make them want to come back again and again. That is a major task and fortunately we have a major renewal project to help get it right. In that sense the future is bright. 08/09/2014 10:03:48 customers "Why would customers want to waste time in a dirty untidy environment poor facilities not even hot water in toilets most days huge empty spaces we need a visually stimulating environment if we don't have that customers will go elsewhere. It all starts with cleanliness and visual appeal How hard can that be? One of the more antiquated aspects of our SL License system is that traders were forced to take leave in one week blocks – no single days off. QVM have now approved up to 5 single days off in any one calendar year which will enable traders to take leave for the myriad of last minute events that come up in life. There are conditions attached to the new arrangement – traders will need to advise the office and the box and table hire operators of their absence the day before. Details will be advised shortly and we can assure traders that an exceptional circumstances provision will be included in case your notice of absence occurs after the nominated closing time because of serious or unforeseen events. This is a welcome addition for SL Traders and a positive sign that management/trader negotiations can bring good results. QVMAC Reps (particularly Stephen McLennan) deserve a pat on the back. The Nursery & Garden Industry Victoria has teamed up with Queen Victoria Market to offer a nursery market in String Bean Alley for the month of September. The nursery market will cater for both the inner & outer city gardeners with over 20 stalls featuring a selection of plants (herbs, veggies, citrus, natives etc), pots & garden accessories. The Pop-Up Nursery Market will run Saturdays from 8am – 3pm & Sundays 9am – 4pm in String Bean Alley. This Sunday's concentration on Dads is likely to create over $750m expenditure on a range of goods with lunches, tools and gadgets heading the way. According to Ibisworld Australians will spend an average of $51.60 on Dad this Fathers Day. A report on Smart Company's website suggests that over $175m will be spent in cafés and restaurants at the top of the list with over $150m going on presents of tools, hardware, and electronics. Not sure what has happened to the humble socks or ties although they will no doubt feature for some Dad's. Personal care products are expected to show a rise this year and interestingly gift vouchers are expected to show a fall as buyers look for more personal gifts. How will Father's Day impact on QVM? Well it should be noted that Father's Day expenditure is around half that spent for Mother's Day and whilst Mothers don't mind a spot of shopping on their special day, Fathers are probably less inclined to want to visit our market sheds. Although we did notice that Grand Ridge Brewery are to be part of the New Craft display in A shed this Sunday, so that could be one good reason to visit QVM for some Dad's. And for gardening Dads there is a new pop-up nursery of some 20 stalls operating each Saturday and Sunday over September in String Bean Alley. As long as some of that $51.60 average expenditure has been spent at QVM in the lead-up we can't really complain. And to all you Dads dutifully working at your stall this Sunday - Happy Father's Day! No doubt you will all be given a little leeway for late arrival at the market after your family has organised your breakfast in bed. (You wish). This video from 1969 shows a different era of trade with bustling sales of materials in J shed. A number of traders can be recognised and we wonder if anybody knows the young men sitting on the back of the truck later in the video. The video can be found here - http://www.youtube.com/watch?feature=player_detailpage&v=EptuF_nL1hQ#t=611 The video starts 10 minutes in for the QVM bit but the rest of it gives a pocket view of many aspects of Melbourne in 1969. Thanks to Matt Ryan for revealing this interesting footage. What Makes A Successful Market Trader? QVM Traders come from an amazingly diverse range of backgrounds. Many traders have come and gone over the years and we would like to think that all of them have left their mark in some way. 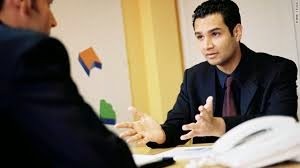 So what is it that makes a successful trader and why is this vocation suitable to some and not to others? Some say that traders need to be a little bit crazy, a little bit daring, while having a big dose of good common sense. Do you need sound retail experience? Let me tell you about two traders who suggest that maybe you don’t. One is an ex branch level executive at an oil company who had a hobby of wood working which he turned into a manufacturing business with QVM as a prime retail outlet. 35 years later he is still at the market. Then there is the ex Bookkeeper who took on Organic Fruit & Veges at the market. She had never driven a forklift, never even driven a truck, but now operates one of our successful Organics stalls. Some traders have a rich heritage of retailing. Kevin Stanisich, who recently retired from the market, was a fourth generation trader. His Great Grandfather used to sell spectacles in the market at a time when a horse and cart was parked behind the stall rather than a van. Some famous retailers who apparently got their start at QVM include Solomon Lew, Peter Alexander, and the founders of Spotlight. Just what are the ingredients we are looking for in a successful trader? QVMAC Representative, Ivano, identified 3 key factors during a discussion at yesterday’s QVMAC Meeting. He talked about independence, freshness, and passion as being important requirements. And perhaps we can leave the final word to another QVMAC Representative, Jenny Pyke, who suggested that perseverance was the key. So to be successful at QVM you need to be an independant business person with fresh creative ideas, an absolute passion for what you sell, and the perseverance to get through bad times as well as good times. Sounds easy enough. What do you think?